Marvel Studios is developing Shang-Chi as its first-ever Asian-led film franchise, per Deadline. The studio has set Chinese-American writer Dave Callaham to pen the script, and is now eyeing Asian and Asian-American directors for the project. Shang-Chi first appeared in Special Marvel Edition #15 in December 1973, and was created by writer Steve Englehart and artist Jim Starlin. 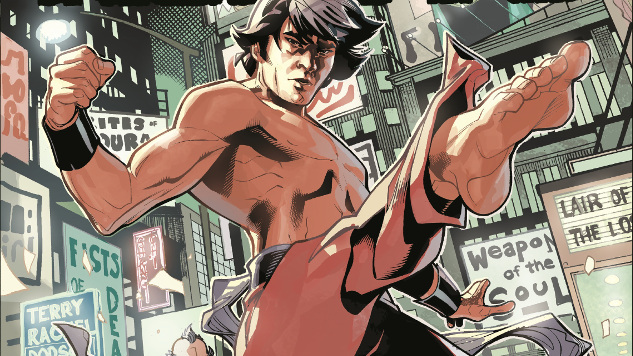 Often referred to as the “Master of Kung-Fu,” Shang-Chi finds a bitter rival in his father, a China-based globalist known as “The Devil’s Doctor,” who kept him closed off from the outside world and had him trained in martial arts. Callaham is no stranger to the superhero genre, having co-written the forthcoming Wonder Woman 1984 with director Patty Jenkins and Geoff Johns. He is also writing Sony’s animated Spider-Man: Into the Spider-Verse 2, the already-greenlit sequel to the first installment, out later this month. Following the record-breaking success of Ryan Coogler’s Black Panther earlier this year, Marvel has set a promising slate of women directors and directors of color to helm forthcoming MCU installments. Cate Shortland will direct Marvel’s first solo woman-directed venture, a standalone Black Widow feature, while Chloe Zhao will become the first woman director of color in the studio’s history with The Eternals. Last month, it was also reported that Coogler will return to write and direct Black Panther 2, the follow-up to the biggest domestic grosser in Marvel’s history. While we’re still waiting for word on who will helm Shang-Chi, we can look forward to another exciting talent joining these ranks.